Great stories will always find a way to be told. 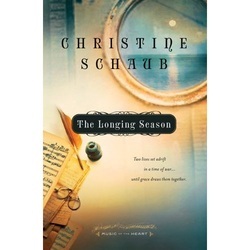 In the Music of the Heart series from Bethany House/Baker Books, Christine Schaub (rhymes with “job”) tells the powerful stories of hope behind our greatest hymns—songs born out of tragedy that now comfort millions with their poignant lyrics and plaintive melodies. 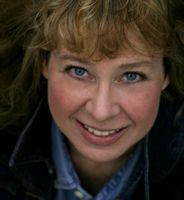 Christine began telling these stories in 1994 as one-person dramas, written originally for her church—a verbal “rest of the story.” They were wildly popular and she became known as the “Hymn Lady.” Those performances led to state women’s meetings, the International Church of God Conferences, the Gaithers’ PraiseGathering conferences, Taylor University, Anderson University and similar college campuses, dinner theatres, and churches across the Midwest until, ultimately, a publisher asked her to broaden the stories into novel form. The Music of the Heart series was born. The October 2005 debut, Finding Anna, chronicles the tragic life of H.G. Spafford and his family, which inspired the hymn “It Is Well With My Soul.” The Longing Season (July 2006)explores the two-year odyssey of John Newton and his iconic hymn “Amazing Grace.” The third book in the critically-acclaimed series (available Fall 2007) delves into the life of George Matheson and “O Love That Wilt Not Let Me Go”—a haunting and once-famous Scottish song found in many hymnals but overlooked in favor of today’s music styles. Christine honed her writing skills after more than fifteen years in corporate communications for healthcare, pharmaceutical, and entertainment companies. While working for a Level 1 trauma hospital, she was a featured conference speaker on working with at-risk youth—developing materials and programs for teens experimenting with alcohol and other drugs. Her creative presentation style changed lives in court-referred programs and alternative-school classrooms. While working in freelance corporate communications, Christine discovered a talent for film, winning the “On the Page” screenwriting contest at Screenwriting Expo 2 in Los Angeles. Her one-page story, written on-site in 24 hours for Jacqueline Bisset, was selected by the actress as the best Oscar Wilde-type comedy for her persona. Christine’s hope is to develop her hymn stories into film and visually tell the forgotten history of great songs of faith. Q: Why do you write about hymns? A: Hymns have always been a part of my life, just as the great ones were developed from defining moments in the hymnwriters’ lives. Such words born out of tragedy and loss, set to such music are what sooth the soul in times of despair. Q: How do you choose a hymn from such a vast collection of great old hymns? A: The hymn must have a gripping story behind it, and that story must be novel-length. Fortunately, so many hymns have compelling stories that I call this an “evergreen” series—I could write one book a year for twenty more years. Occasionally, a beloved and popular song will come from literature, as is the case with “Jesus Loves Me,” and I can only tell that story from the stage. Q: When and how did you come to believe you were meant to write? A: Writing was always easy for me, so I didn’t consider it as a profession until a high school English teacher recognized my talent and gently pushed me toward journalism. A college professor took it from there, urging me toward corporate work. And then, just like that, I was getting paid to rearrange words. Q: You call yourself a “reluctant novelist.” Why? A: I’ve never wanted to be a novelist—never thought I had more than a short story or two in me. I’m much more inclined to write sketch comedy, limericks, or screenplays for pleasure…maybe an “Ode to the Turtleneck.” Silly stuff. Want proof? When I finished writing my first novel, Finding Anna, my Mom said, “I can’t believe you were that serious for that many pages.” Yeah. Me neither. Q: So what made you take the plunge into novel writing? A: My agent and I were shopping the hymnstories as teleplays when I was offered instead a chance to turn them into novels. I turned down the offer, much hissing ensued—mostly by my agent—and I found myself stomping into Borders, looking for a book like Novel Writing for Idiots. I found something similar, stomped home, followed the instructions, whipped out four sample chapters, and a novelist was born—proof that strong-arm tactics are effective in any field. Q: Any chance one of your books will become a movie? A: Making these stories into films has always been my first goal. I’ve had some recent interest from production companies who believe the time and subject matter are ripe for movie-going Christians. Stories of tragedy and redemption, love and loss…who doesn’t thrill to see that played out in historically-accurate backgrounds? Q: Walden Media’s movie “Amazing Grace” comes out March 2007. What will readers learn in your book that they won’t see in the film? A: Walden’s “Amazing Grace” focuses on William Wilberforce and his fight against British commercial slavery. The elderly John Newton is featured in about twenty minutes of footage and played wonderfully by Albert Finney. The Longing Season focuses on the young John Newton and his odyssey that inspired the iconic hymn and later motivated a nation to wake up to the evils of the slave trade. Q: How important is historical accuracy in historical “fiction”? A: Critical. I read recently that my genre should really be called “fauxography”—part biography, part fiction. That means the main characters, settings, language, mannerisms, social structure, politics all have to be as close to reality as possible. I can invent minor characters and subplots, but I absolutely cannot fudge on the facts. Savvy readers are unafraid to fire off an email when the writer hasn’t done his research. Q: What do your readers tell you? A: Historical fiction readers are very loyal and appreciate my eye for detail. I’ve received many, many pleas to continue this series until one or both of us are dead. They also swear they’ll read anything I write—which will be helpful should I publish something outside this series. Q: You’re also an actor. Emote on that. Q: How have your life goals changed over the years? A: When I was about six, I famously announced to a roomful of people that I wanted to be “Nothing. Just like my Mom.” That primal scream you just heard came from my mother’s self-esteem. What I meant, of course, was that I wanted to be a wife and mother—in that order. Those goals have not changed, nor have they been achieved…but I’m still working on them.